We don’t need a date on the calendar to tell us that summer has arrived. When you see those squiggly, blurry waves of heat rising off the sun-caked pavement, you know it’s here. In celebration of this season of warmth and the long hours of the sun, here’s a recipe that will keep you cool and take minimal time to prepare. For you must savor every last delicious hour of the longest days of the year! This is a recipe for tuna salad. It’ll take you 25 minutes to prepare (at the most). It combines snappy celery, savory tuna, cool cheddar cheese (extra sharp! ), creamy mayo (slather it on! ), popping peas, and finally, those tubular macaroni noodles we can all recall from the 2nd grade. When the King of the North was small, he was required to attend royal trainings during the hottest hours of the day. Learning how to use heavy weaponry, while fighting off constant attacks of heat and dust, eventually took its toll. When the King of the North would return home, exhausted from his education, he would be delighted to find this tuna salad, nicely chilled in the fridge. Scooping heapfuls into his mouth, he would instantly be refreshed when he bit into a cube of fresh, cold, and smooth cheddar cheese. Needless to say, I heeded his tale and made this tuna salad when I had my own toils. When I moved apartments one week ago, I made this recipe and ate it for three solid days. (I finished off the entire bowl, which you will see pictured below). 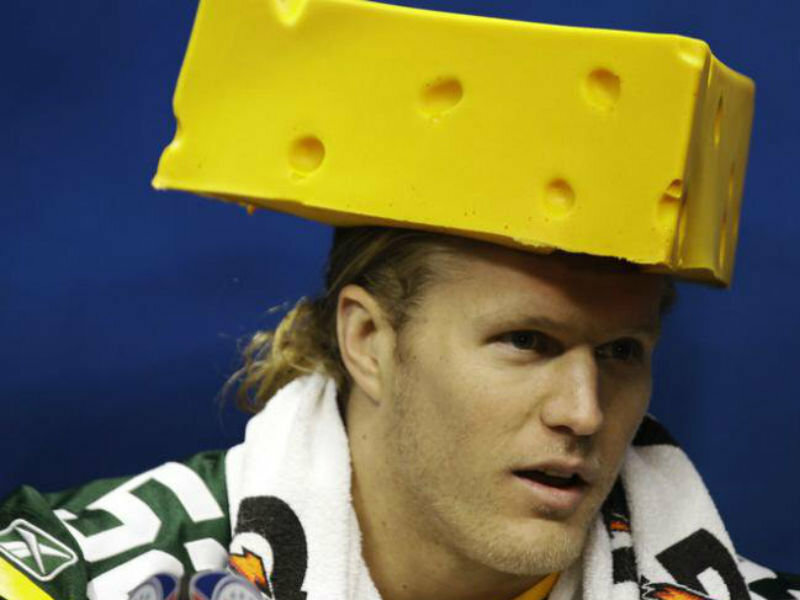 I’m not a native cheesehead, but perhaps I’m now an honorary member now. (The King of the North will be the judge of that). Servings: 4-6 (as a side dish). 1 (as a main dish for three days in a row). Oh, those summer noodles. Grab a medium-sized pot and fill with 4 cups of water. Boil the water, then throw in the noodles and cook for however long the package tells you to. Peas, stop with these puns. While the noodles are boiling, add the frozen peas to a small pan. Add a couple tablespoons of water, then cover and cook over medium heat for 4 to 6 minutes. Chop your veggies. I was lazy and bought pre-chopped celery and onion (remember, I was moving during this time). You should not be lazy! Go out and get fresh veggies and chop them up while waiting for your noodles and peas to finish cooking. Gather your noodles. Your noodles and peas should be done by now. Give the noodles a quick rinse with cold water, then add them to a large bowl. Make sure you’ve removed the peas from the heat. Tuna fish, tuna fish…gulp gulp gulp. If you haven’t heard that song as a child, then never mind that song reference. Anyway! Open the tuna can and strain all of the water out (into the sink, preferably). Add the tuna to the bowl. Then, add the macaroni + all other ingredients (peas, mayo, celery, onion and finally, the cheese!). Mix them all together. Chill out, man. Cover the bowl with tin foil and let chill in the fridge for one hour. Feed all kings in training and people moving apartments.k.a. eat the tuna salad and enjoy. While I ate this as a main course for three days, I suggest serving this as a side dish when accompanied by friends and family. This dish can be pretty heavy (considering all of the mayo), so you might want to go easy with it if you’re trying to be swimsuit ready in 30 days (or whatever else they tell you in the magazines). As my co-worker calls tuna, “that smelly fish,” remember that the odor can be strong and unpleasant if left out for too long. Therefore, make sure to rinse out the tuna can (or cans) immediately. You can even add a bit of soap and let it sit in the sink if you’re feeling lazy from the heat. Or moving apartments. Didn’t get your fill of cheese puns? Here’s some more. People get slapped by fish, everybody. Check it out.